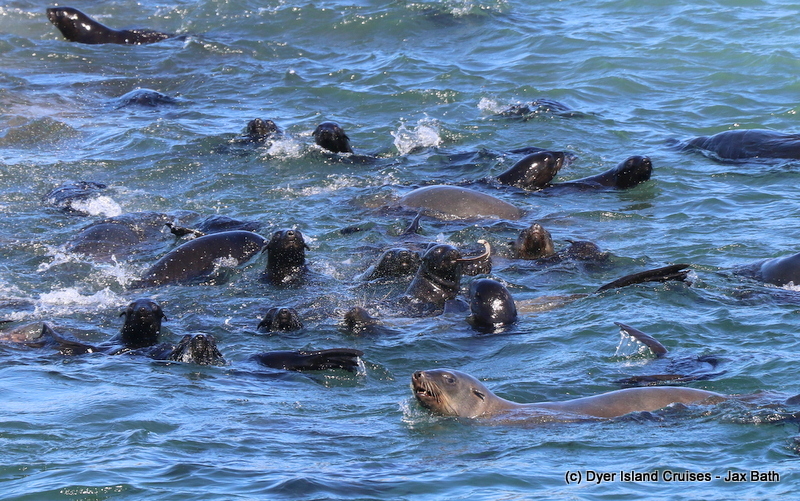 Today was really one for the books, with us spotting a variety of interesting species, including 4 of our Marine Big 5. 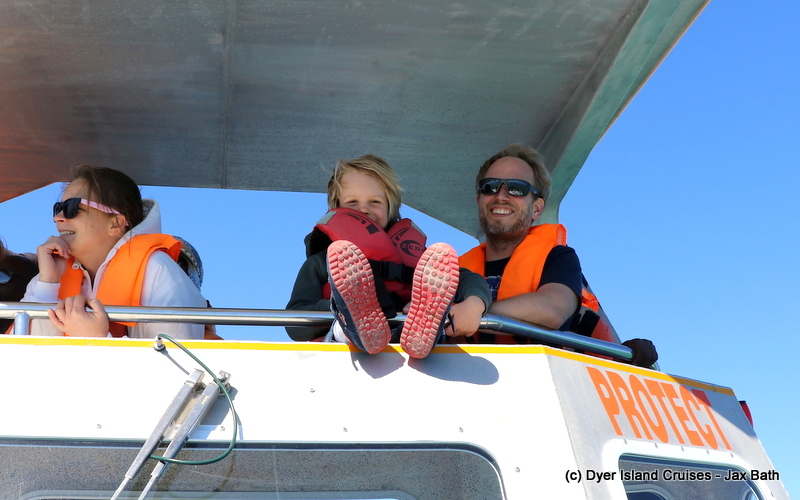 We head out to sea at around brunch time, making our way through shallow water and hugging the coast on our way to the shark cage diving vessels. Whilst cruising, we saw what looked to be a dark, black cloud on the horizon, which could only be one thing, our Cape Cormorants. 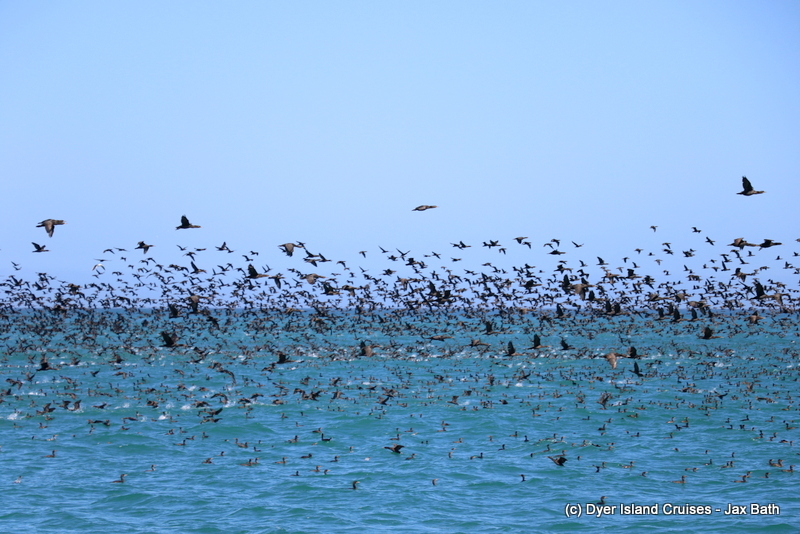 We decided to go and check it out, taking in the sight of thousands of little black birds descending on the ocean. 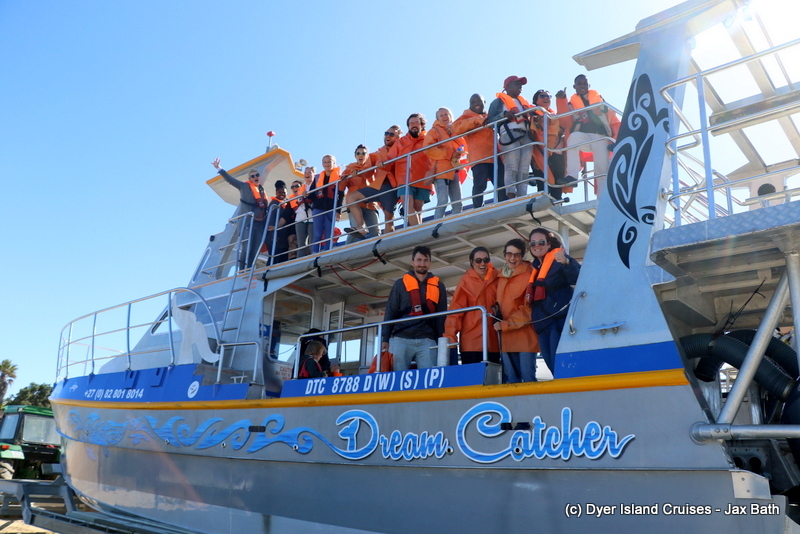 After taking in the sights, sounds and smell of Dyer Islands most abundant seabird, we made our way back towards the shark cage diving vessels. 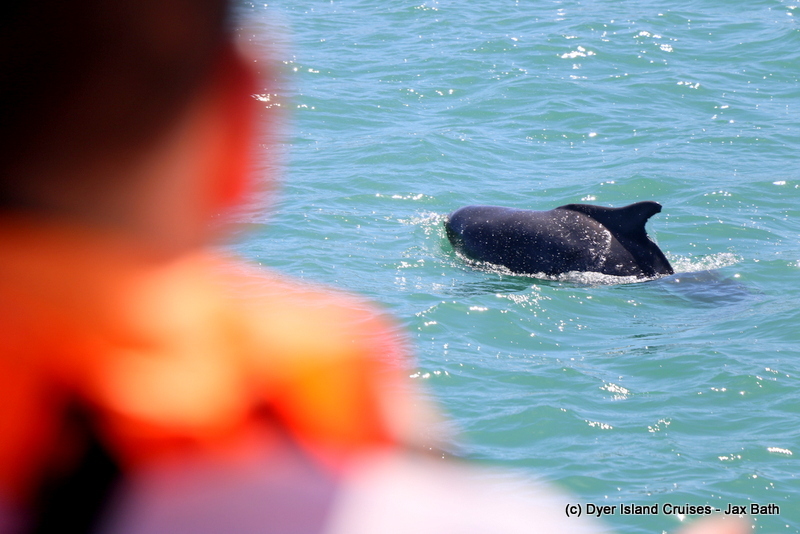 On approach, we were lucky enough to spot an Indian Ocean Humpback Dolphin making his way to the area, so we decided that we would spent some time with this endangered cetacean. 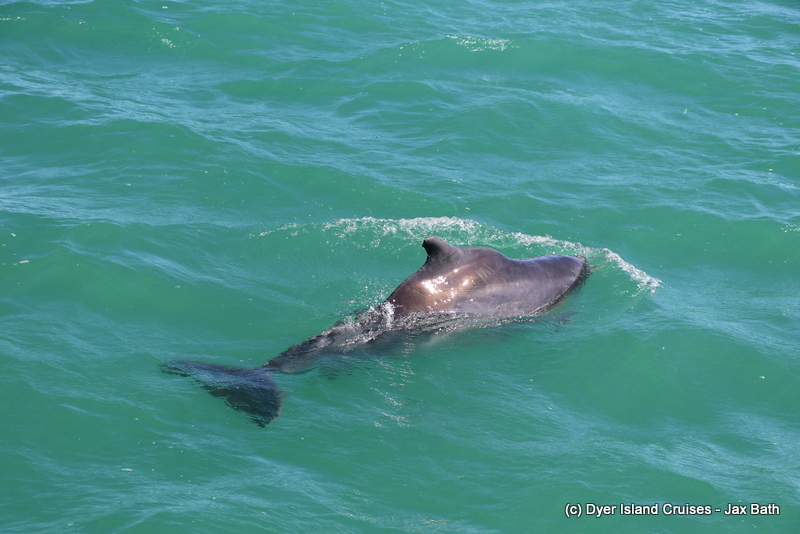 Humpback Dolphins are generally quite shy, but this did not ring true for this animal, who came up to bow ride with the boat to the delight of all on board. We got some lovely close views of unknown individual before taking a stop over at Slashfin. 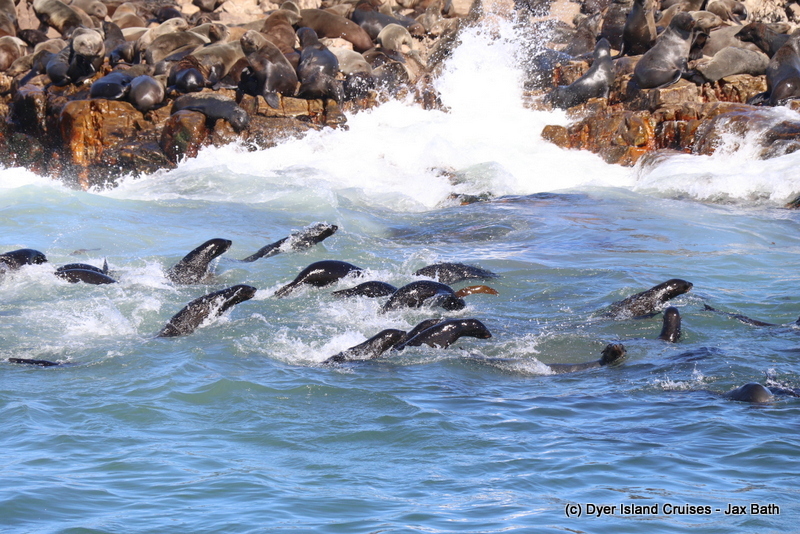 Our next stop was over at Dyer island, where we picked up some kelp and had a look out to see if we could find some African Penguins sitting on their home. Using binoculars, we were able to point them out and observe them for a bit before it was time to visit everyone’s favorite oceanic pups. 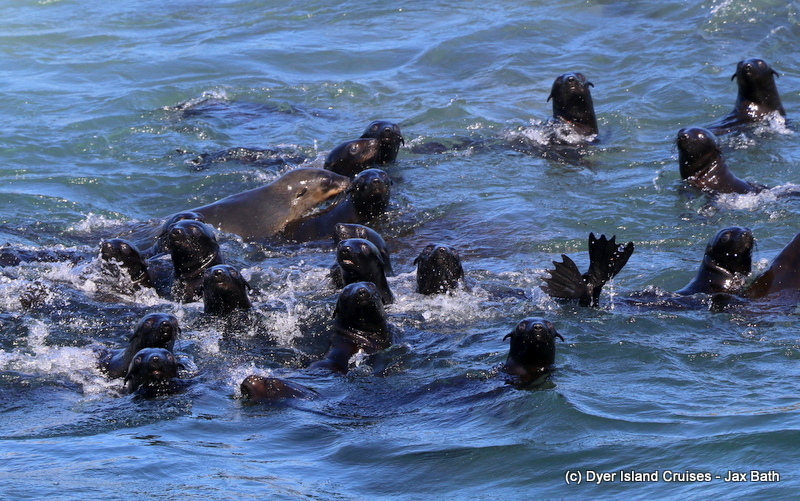 Our Cape Fur Seals were super playful today, with hundreds of these pinnipeds in the water to seek some relief from the sun. Happy faces at the end of a fantastic tour. What an incredible sighting of our Cape Cormorants, who, much like the African Penguin, are also an endangered species. 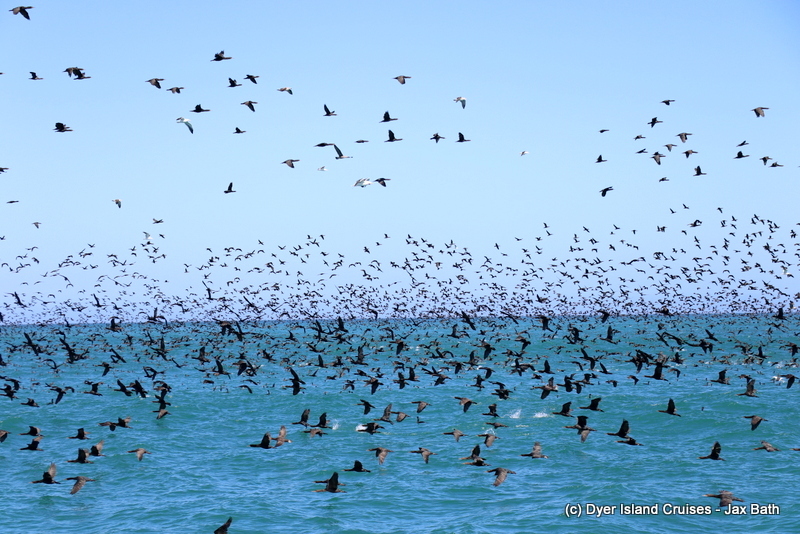 We have around 100 000 of these birds breeding on Dyer Island and, when we’re very lucky, we get to watch them swarm in mega flocks. 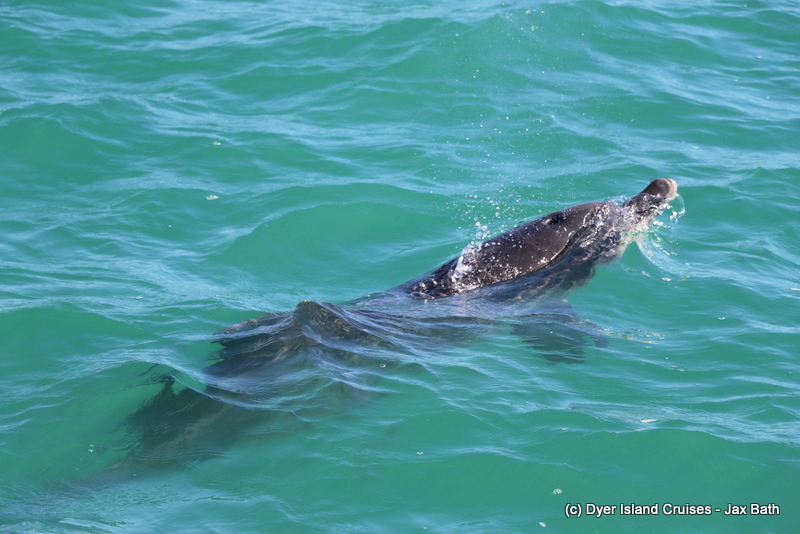 This dolphin appeared to be doing bow riding, coming right up to the boat. Waiting patiently for a sighting of a shark. 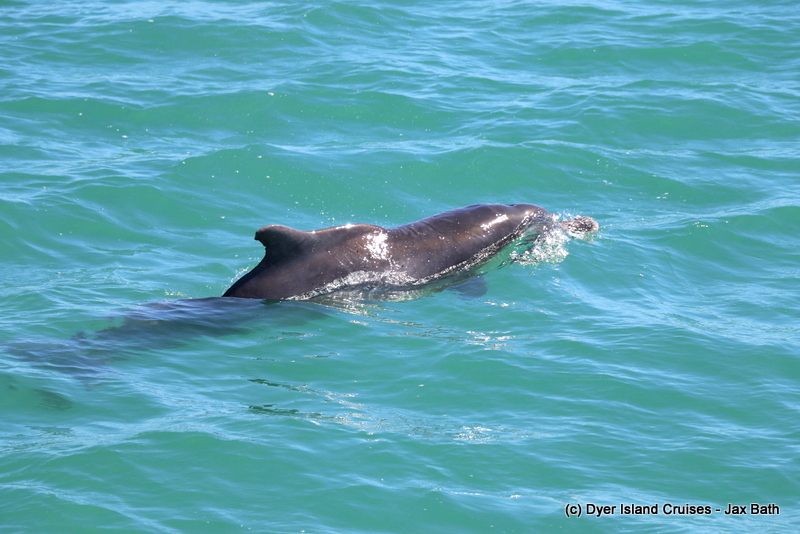 Another closer view of the Indian Ocean Humpback Dolphin, who appears to be a newcomer in the bay. 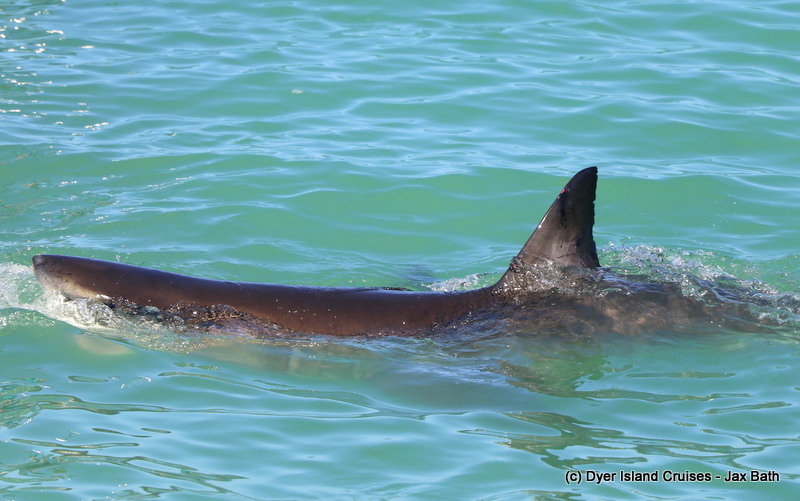 These dolphins get their names from the distinctive fat hump underneath the dorsal fin. Just as the dolphin surfaces. Dolphins are toothed whales, all of which only have 1 blowhole. Baleen whales such as the Humpback Whale, have two blowholes. 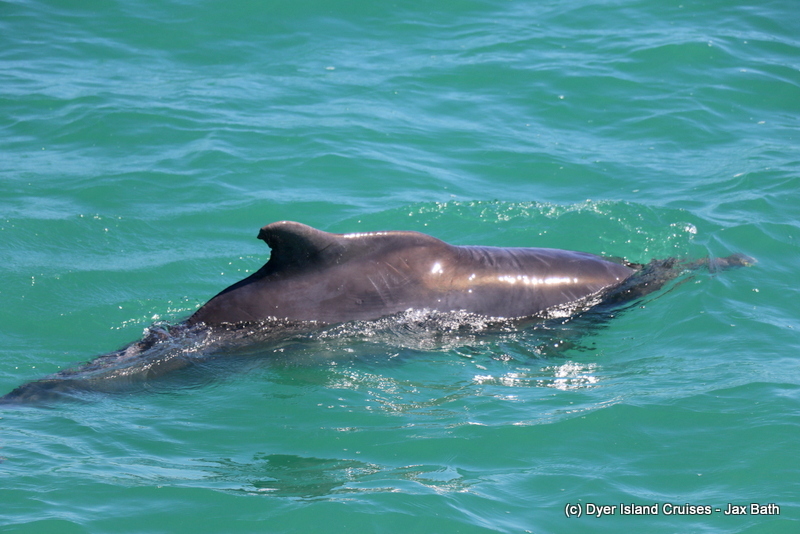 One last look at the Humpback Dolphin. We got to see 2 different species of shark on this tour. 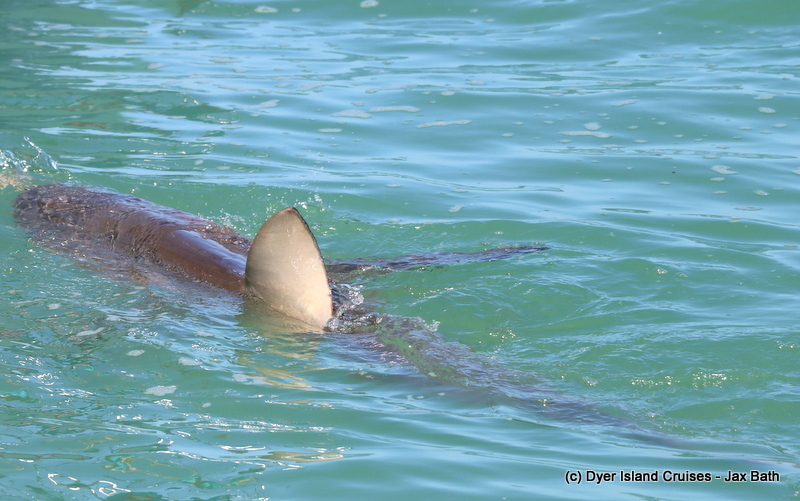 This is the Bronze Whaler or Copper Shark, with their golden skin being their namesake. A gorgeous Great White Shark. 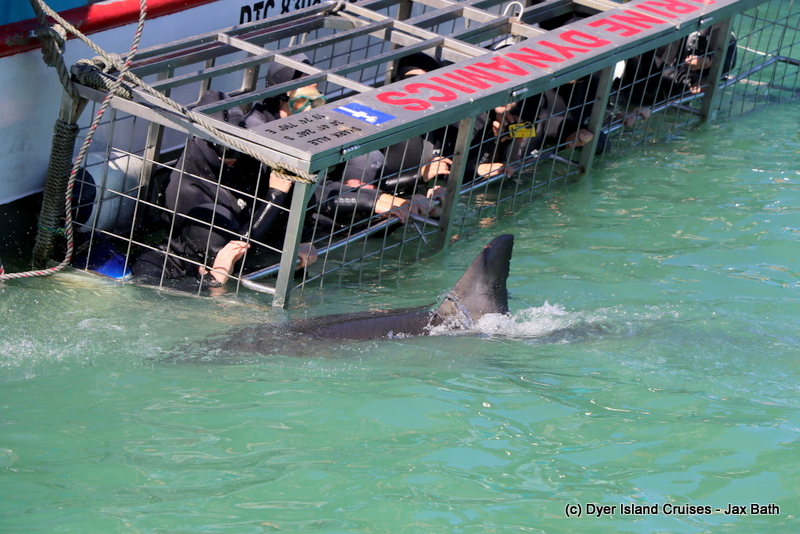 This shark was very active around the cage, giving the divers some great views. 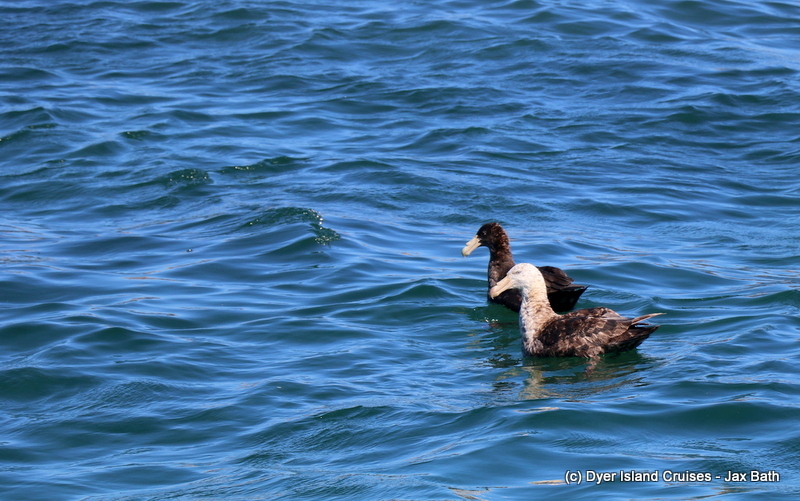 A Northern and Southern Giant Petrel sitting side by side. the lighter of the two is the Northern Giant Petrel, with a red tip to the bill.The darker coloured bird is a young Southern Giant Petrel. Little ones darting back to safety. 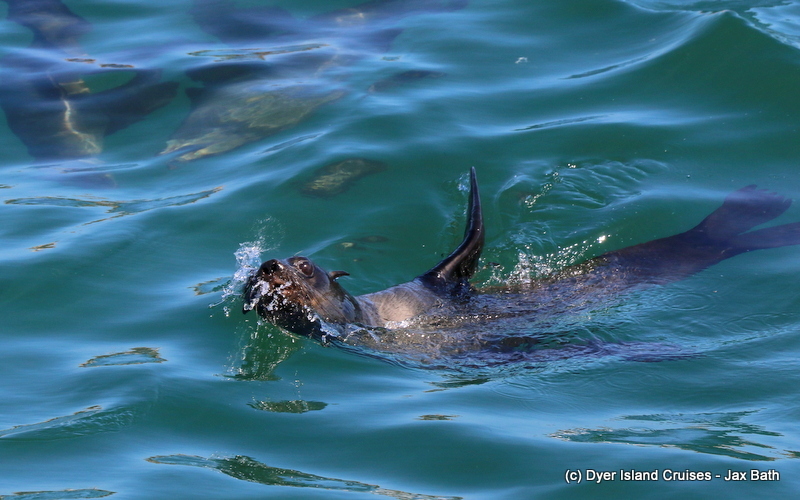 Some Cape Fur Seals enjoying a swim in the Atlantic. A pup taking a rest. Our curious pups checking us out. 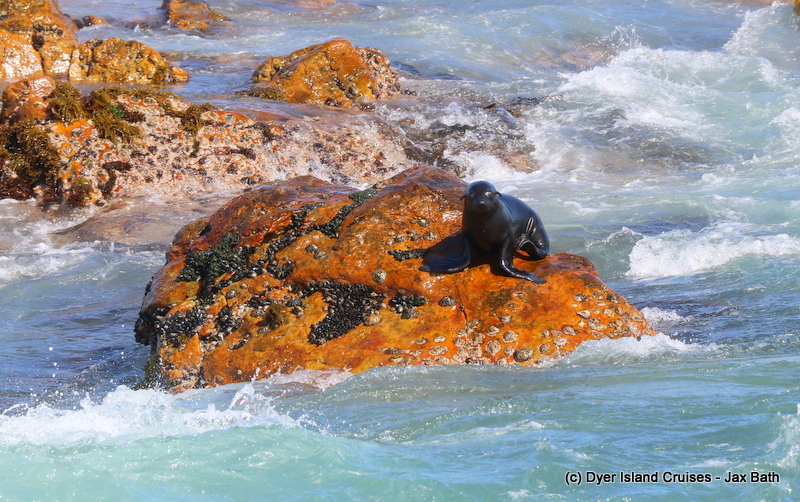 A curious seal comes in for a closer look. 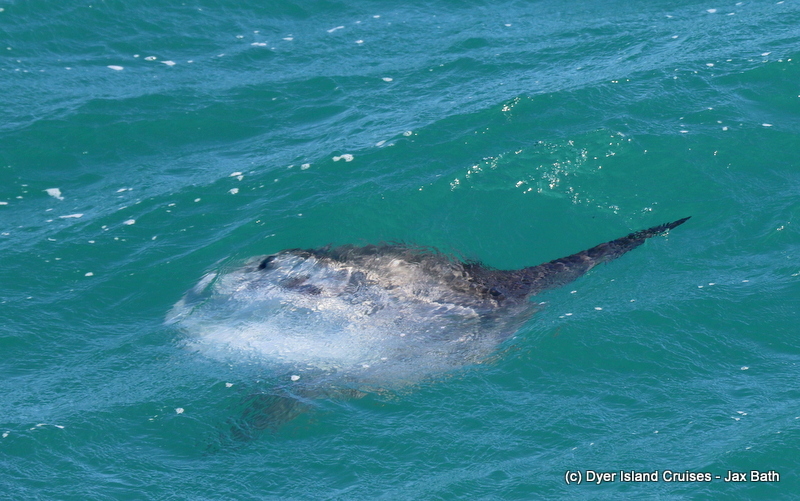 We finished off our trip with a sighting of this Sunfish, otherwise known as a Mola Mola.